I have mentioned quite a few times the power of chia seeds. The little seeds that brought us the Ch-Ch-Chia! tune for Chia Pets are actually really nutrient dense. 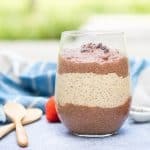 I have seen several recipes for chia pudding and have tried a few that just didn’t do it for me. Recently though, I tried to make a chia pudding with a ripe banana and added some cinnamon to the mix and was quite pleased by the result. If you like tapioca pudding, then you will love chia pudding. The texture is surely not for everyone, but with the right recipe, I think it can be really good. Similar to overnight oats, chia pudding can be made with any type of milk that you prefer. If you like yours really thick, lighten up a tad on the milk and if you want it thinner then add a bit more, just a tablespoon or so. 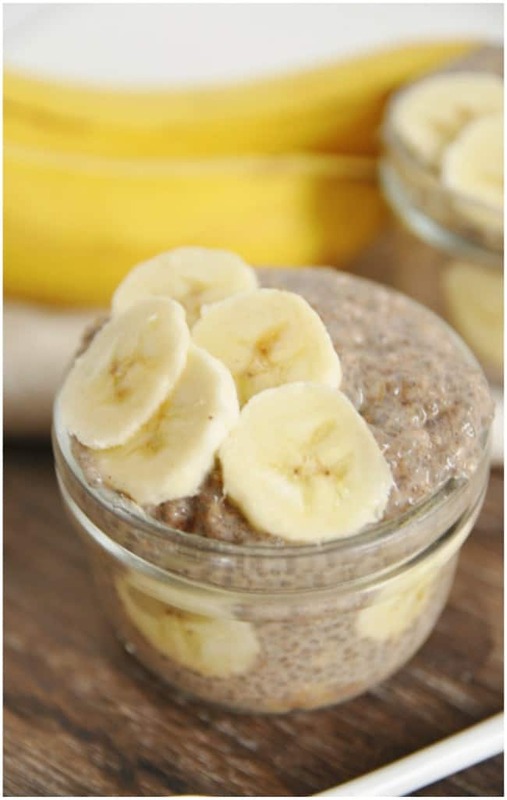 The great thing about this Banana Chia Pudding is that it can be eaten for a treat but it’s healthy enough to have for breakfast! Make sure the banana you use is very ripe. Looking for some more information on chia seeds and how they impact your health? Read up below! In a jar or bowl that can be sealed shut, mash banana. Add milk, vanilla, cinnamon and maple syrup and mix well to combine. Add chia seeds and whisk to combine or seal container and shake thoroughly until combined. Place sealed container into the refrigerator and chill for at least 4 hours to set firmly. To serve, garnish with some cinnamon, sliced bananas and maybe even some chopped walnuts or pecans. I put this together tonight and had to improvise w/ dates (no maple syrup in the house), cashew cream + water, and no banana (I really need to go to the grocery) but I’m super pumped to try it in the morning. I’ll keep you posted. Thanks, Lor! If cashews are involved you should be all set! yum! I’m sure it will be tasty. Most of the chia pudding recipes I tried I found bland and then you would just have a weird aftertaste from the seeds. That’s where the banana came in. Let me know how it goes! So glad you liked it, Teresa! This was the first chia pudding I ever liked so it’s a win for me as well! Thanks! I cant wait to try this tomorrow for breakfast ?? 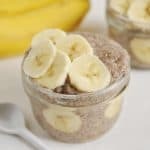 we love chia pudding but i might roast the banana ? What a great idea Katie! I will be trying that soon. Yum! Just tried this and it was amazing!❤️❤️I will definitely be making it again soon. Thanks for the recipe! So glad you liked it, Maeve! 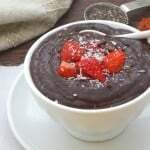 I didn’t like chia pudding until I put this recipe together so it is a keeper for me as well. Thanks so much! I am on whole30, so I made a few adjustments. I made this with 1 can of coconut milk, subbed the maple syrup for a date, and omitted the vanilla extract. Holy moly so good! This morning I added flaked coconut, walnuts, and raspberries! Definitely will make this many many more times! Ooooh! The coconut sounds perfect! I’m going to have to give that a try. Thanks for sharing! This was delicious, but 2 tsp of cinnamon was way too much. I suggest 1. It was my favorite chia pudding recipe once I made that adjustment! Thanks Natalie! I have an obsession with cinnamon so I imagine maybe everyone else may find it a bit much.